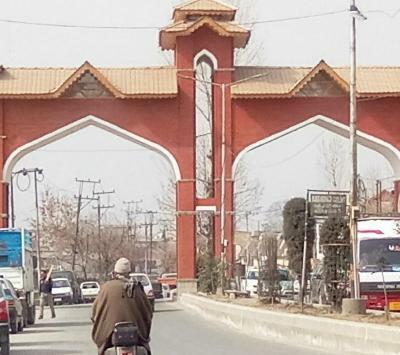 Srinagar: A new gateway constructed near the Bab Demb here will cut its stink by around 80 per cent, the government said today. The red coloured brick tiled gate has a feel of Mughal architecture, and takes away all the attention from the stink. Akhtar said government has commissioned a study to state pollution control board (SPCB) to monitor the improvement in air quality around Bab Demb. Giving credit to former National Conference minister Ali Muhammad Sagar for conceiving the idea, Akthar admitted he considered it as “face cream on a leprosy patient” then. Commissioner Srinagar Municipal Corporation (SMC) Reyaz Ahmad said the commuters and shoppers in the area no longer complain of stink. Following the success at Bab Demb, Ahmad said, the SMC was mulling to put a similar gate at the Achan garbage dump in Srinagar. Convenor Intach Salim Beg told Dapaan that Mughal style gateways are known to increase the air quality of the place, and cool down the air in summers. He however, expressed regret that Intach was not involved in the project construction. “It is never too late. Hope they hand over the construction of Achhan gate to us,” Beg said.